The Gallery at Flat Rock is pleased to host a special reception in honor of artist Michael Sherrill at the gallery at 1 p.m. on January 19. The event will include a screening of a mini-documentary film detailing the career path of one of the most respected artists living in North Carolina. A retrospective exhibit of Sherrill’s work in ceramic, metal and glass is currently on display at the Mint Museum in Charlotte until April 7. The exhibit will then travel to the Smithsonian in Washington, D.C., the ASU Art Museum in Tempe, Ariz. and to a third museum venue yet to be disclosed. The afternoon reception will feature a mini-documentary that follows the trajectory of Sherrill’s work from his early functional pottery pieces to his meticulous mixed media sculptures. Sherrill’s early work revealed his innate talent for innovative thinking about shape and color as a clay artist. 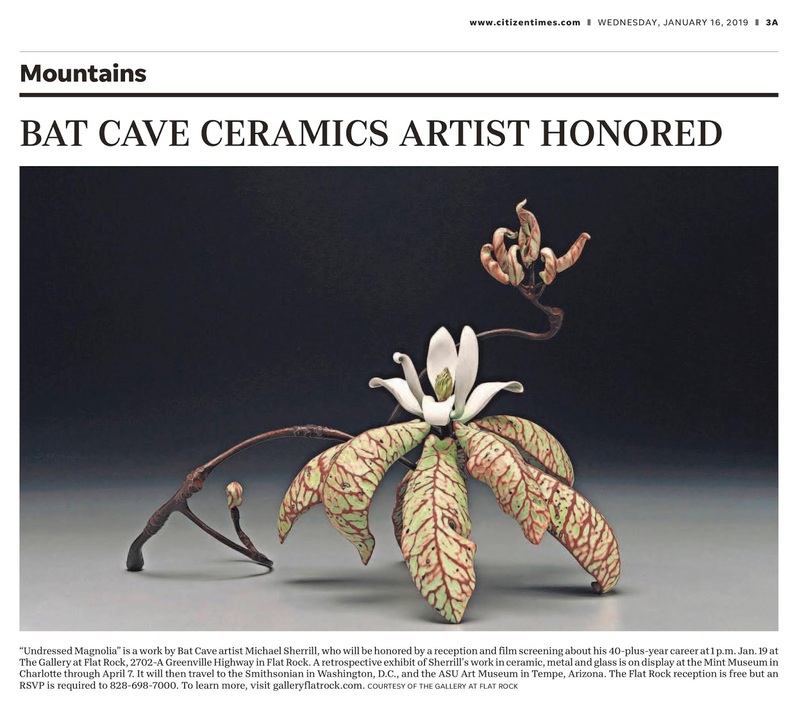 His later works, largely inspired by the natural forms of plants that surround his studio, located deep in a mountain cove in the Bat Cave area of Henderson County, reveal Sherrill’s continued focus on form and color while pushing structural limits using his innovative techniques in manipulating materials to create forms that reveal his careful observations of the outer world. This event is free and open to the public, but participants are required to submit an RSVP in order to attend. Those interested can call the gallery at 828-698-7000 or visit the website at galleryflatrock.com. 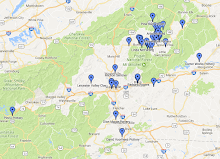 The Gallery at Flat Rock represents finely curated art and craft, and is located in Flat Rock Square at 2702-A Greenville Highway in Flat Rock, North Carolina. Gallery hours are Tuesday through Saturday, 10 a.m. to 5 p.m.; Sundays Noon to 3 p.m.; or by appointment. 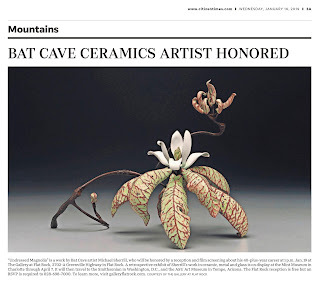 To learn more, please visit the gallery website at galleryflatrock.com or call the gallery at 828-698-7000. Thanks for a fabulous response to our reception for Michael Sherrill! We are at capacity and have closed the RSVP's. Sorry for those that will miss it. Michael's pieces will stay on view at Gallery at Flat Rock through Sunday, 1/20, hours 11 am to 3 pm.